Who has grown these before? I bought some bulbs off ebay but the guy ended up ripping me off. He showed a pic of big healthy bulbs, I was supposed to get 30 of these but he sent me tiny bulbils that were all mostly dried out or rotted. I few felt like there was still some life maybe in a few of them so I planted them immediately. Too soon to say if they'll grow. I sent the guy a message and let him know how I felt about his deceiving auction. Anyway, I read somewhere to sow them 8 inches apart. However, when I look at pics online it looks like people have sowed them pretty thick kind of like a mound of chives. I planted a few 8 inches apart. I have a few left over and thinking about sowing them thick. What do you guys think? i wouldn't crowd them too much, especially if they may already have health issues. i've had some do fine spaced 4 or 5 inches apart (in all directions), though. I have one clump that is the Mother clump. From it I harvest the bulbils. The bulbils I plant in a row and space them about 3 inches apart. They very quickly make nice scallions. You can eat them at any stage of their development. The bulbils too are good for flavoring any dish that needs onion. I would find a spot where you can have a perennial Mother clump and plan on letting it just produce bulbils. Plant at least a dozen bulbils for the Mother clump, and they can all be in one square foot. If you have more left over, plant them in a bed. You can put them as close as 3 inches both ways if you want, for making scallions. Yes, the Mother clump grows and soon looks like a big clump of chives. 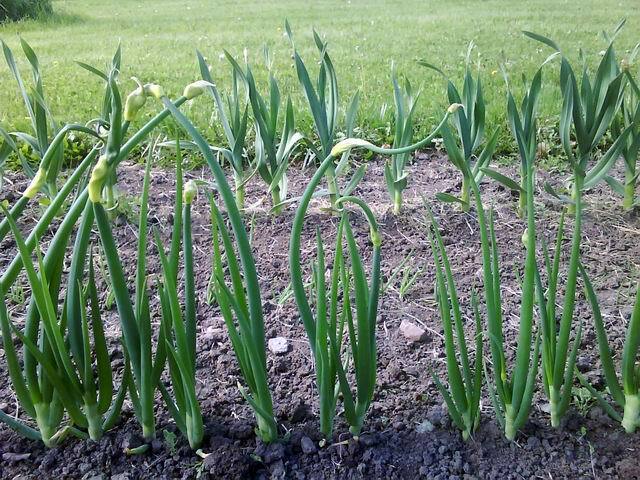 Here is an example of how the bulbils make scallions. These are ready for harvest. You see,they are about ready to make more bulbils on top. I may take out my Chives clump since I rarely eat chives and replace it with these onions. Does anyone eat Egyptian Walking Onions? Who grows Egyptian Walking Onions? WHO is eating Egyptian Walking Onions?